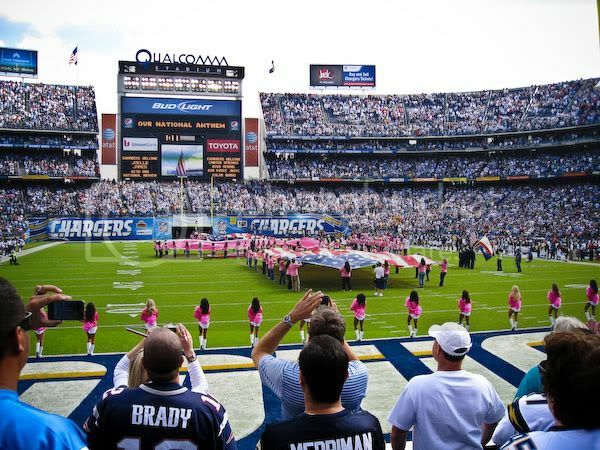 A week after we got back from Wisconsin, we went to the San Diego Chargers vs New England Patriots game on Sunday, 10/24. We had gotten tickets months ago. 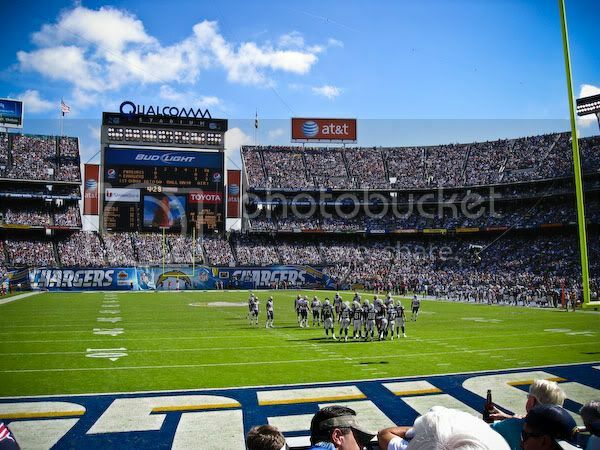 The previous week it was raining here the entire week, but it cleared up on Sunday just in time for the game! 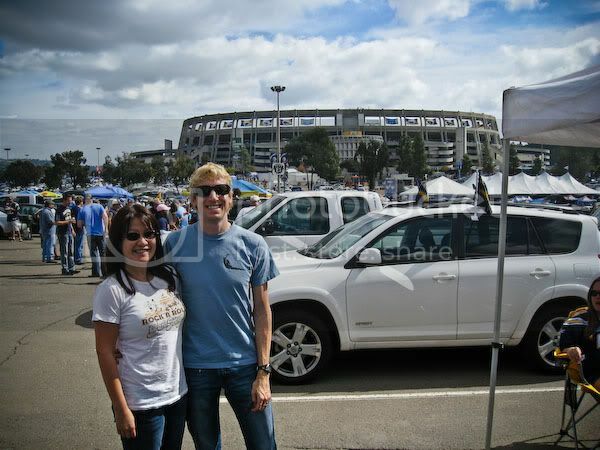 The major attraction of going to one game every year is to tailgate with Lee, my friend from work. 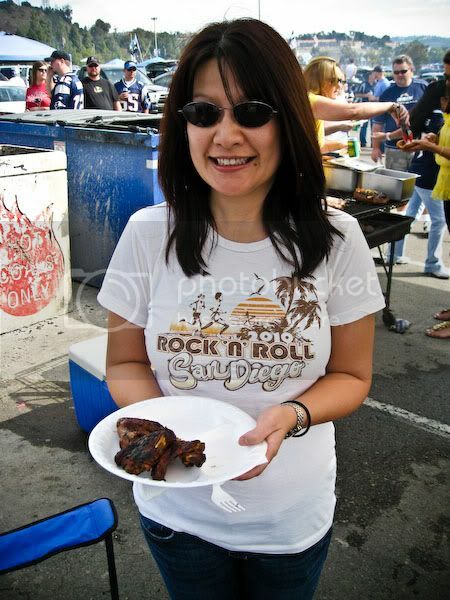 He puts on the BEST Chargers tailgates! My favorite is his marinated grilled chicken wings. Many have asked for his recipe, but Lee is very tight-lipped about it, LOL. I look forward to his chicken wings every year! 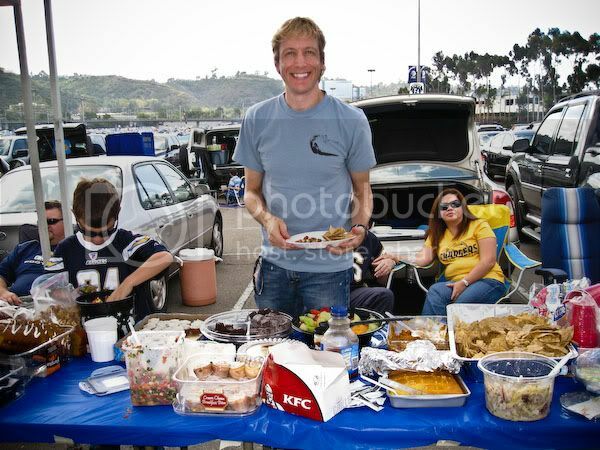 Todd in front of the large food table. Everyone brought something to share. 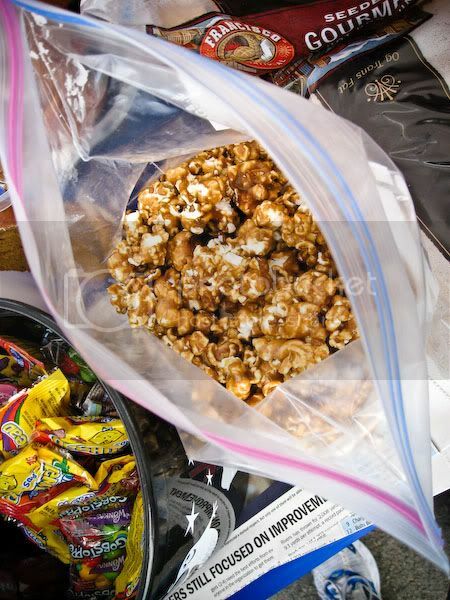 Todd made his famous homemade caramel popcorn (recipe here). There were a couple of excited people who flocked to his popcorn, heh heh. 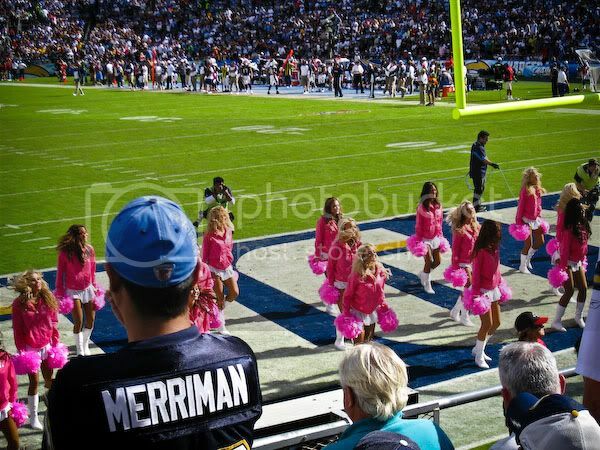 Lee took a photo of us in front of the stadium. Flag and national anthem before the game. 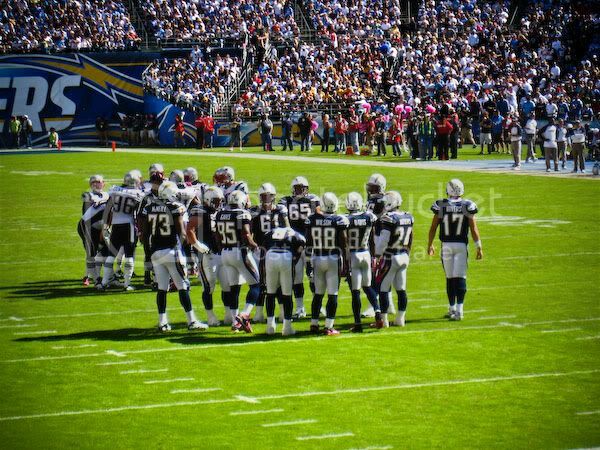 Chargers getting ready to start on offense. More shots during the game. 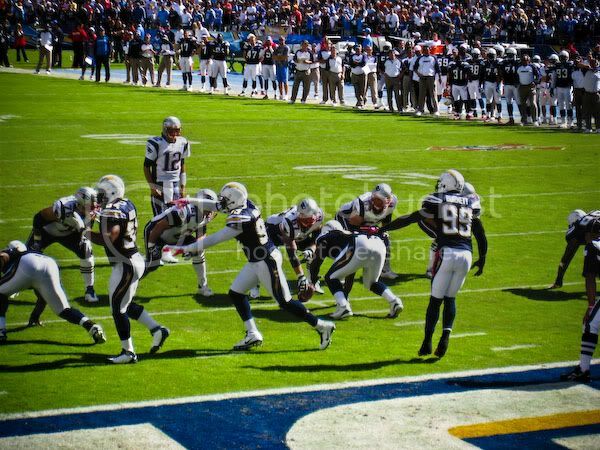 Tom Brady getting ready to snap the ball. 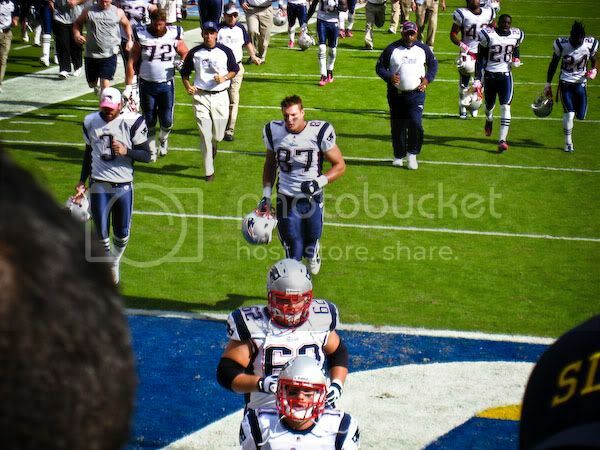 Some of the Patriots heading into the locker room at half time. 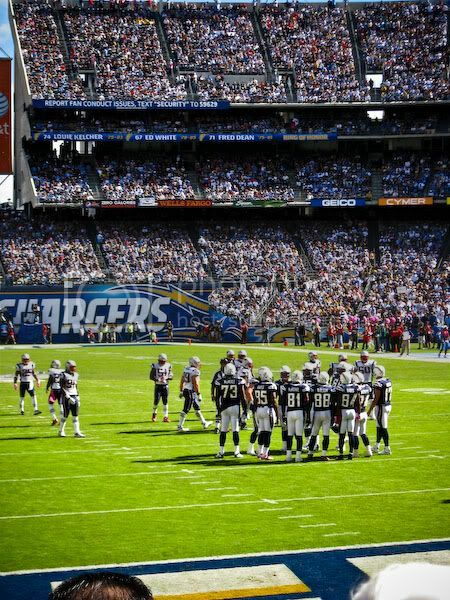 The Chargers ended up losing to the Patriots 23-20. We left a little bit early to beat the traffic out of the stadium. It was fun to see a game with the tailgating crew again this year! 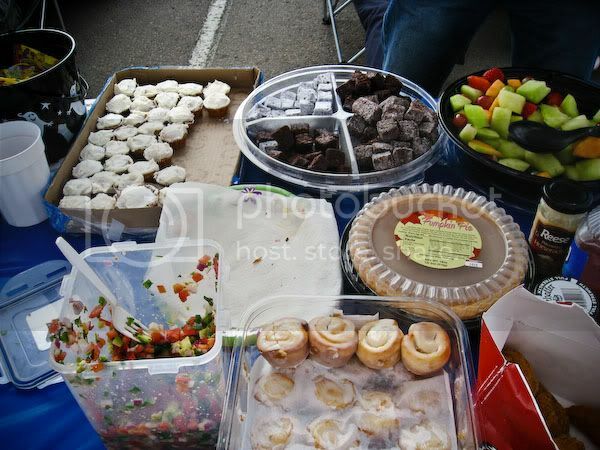 What yummy food! 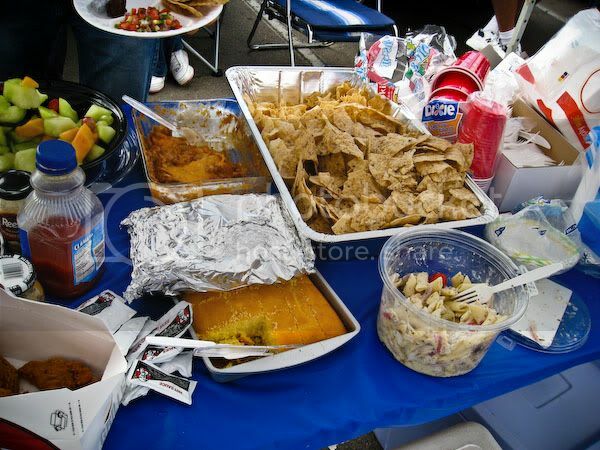 I think one of my favorite things about football is tailgating! great event and yummy food!